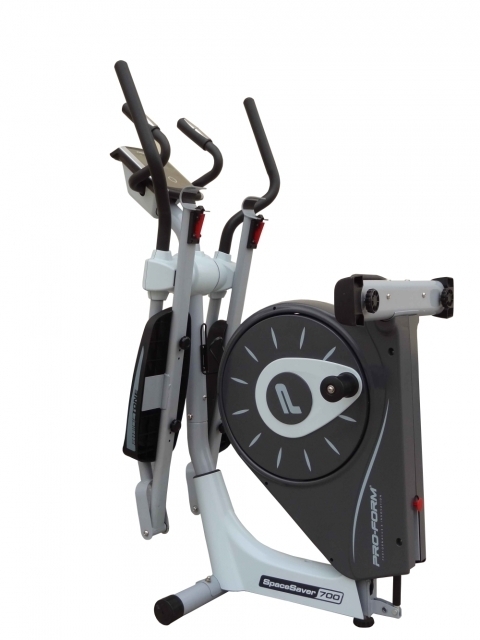 The ProForm Space Saver 700 Elliptical supports about 20 workout programmes and has a maximum user capacity of 115 kg. It has a 10 kg interia enhanced flywheel for a smoother workout. It is equipped with many other additional features like transport wheels, backlite LCD display, EKG pulse grip etc. Warranty 2-Years Frame Warranty, 2-Year Parts, and 2-Year Labor Warranty.